Christa McAuliffe was NASA’s first designated teacher in space. She had prepared lessons to record during her time aboard the space shuttle Challenger, but never had the chance to carry out her plan because on January 28, 1986, just 73 seconds into its flight, the ship exploded, killing McAuliffe and six other crew members on board. Now two teachers-turned-astronauts, Joe Acaba and Ricky Arnold, will pay tribute to McAuliffe and her work. Over the next several months, they plan to record these “lost lessons” while on the International Space Station, Marcia Dunn reports for Associated Press. She prepared educational materials—a mix of live performances and prerecorded lessons—that were intended to be released during the Challenger mission. After the explosion, her “lost lessons” fell by the wayside during investigations and other research. The recorded lessons and practice sessions were eventually released along with descriptions by a NASA educational specialist, which are now all hosted by the Challenger Center. The astronauts announced their plans during a TV linkup with students at McAullife’s alma mater, Framingham State University, Dunn writes. After recording the lessons, they will be hosted online for the public by the Challenger Center, Marquita Harris reports for Refinery29. Four of McAuliffe’s six lessons will be filmed, with modifications to take advantage of equipment available on the space station. The lessons will cover effervescence (bubbles), chromatography (a chemical separation technique), liquids, and Newton’s laws of motion. Acaba is currently on the space station, but will return to earth at the end of February. Arnold will be part of the replacement crew launching in March. Both have a background in education, teaching middle and high school math and science prior to their selection as educator-astronauts in 2004. Acaba taught in Florida, Koren writes, while Arnold taught in Maryland, Morocco, Saudi Arabia, Indonesia, and Romania. NASA is calling the back-to-back mission by educator-astronauts a “Year of Education on Station.” The lost lessons will join short “STEMonstration” videos the duo are recording that feature various scientific concepts. McAuliffe’s backup for the Challenger mission, Idaho elementary school teacher Barbara Morgan, became the first teacher in space twelve years later during construction of the space station. Morgan is currently on the board of the Challenger Center honoring the McAuliffe and the rest of the crew. Because it carrys on what she was doing and what she wanted people to learn. This is very interesting topic and is a good way to pay tribute to the astronauts who were an challenger. Teaching the lessons will be a tribute to Christa McAuliffe because it's dedicated to her by the things she was going to teach like laws and economics. By learning her lessons will tribute to her because people will learn from her. This is great for young students training in the field of being an astronaut. Christa McAuliffe seemed like a great teacher and was very devoted to her job. It is important to teach men and women who are interested in this field the basics of what its like to be up in space. Education allows people of all ages to grow as individuals and as members of the community. However, to promote more growth and become civically engaged we have to acknowledge our past to best influence our future. Astronauts teach “lost lessons” to honor Challenger Shuttle astronaut, Christa McAuliffe accomplishes this goal and, as the title suggests, honors teacher-turned-astronaut Christa McAuliffe and her passion for teaching that transcends her untimely death while on NASA’s Challenger mission. Joe Acaba and Ricky Arnold, teachers-turned-astronauts themselves, wish to pay tribute to McAuliffe’s memory by recording her “lost lessons” and journaling about their experiences in space aboard the U.S. satellite. With Acaba and Arnold’s contributions, the memory of Christa McAuliffe and her dedication to teaching will live on. I think all of us need to be civically engaged by recognizing heroes and heroines for both big and small accomplishments. Perhaps with positive recognition of impactful individuals, we can be inspired, and inspire others, to do more and make the world a better place one step at a time. Two teachers, Joe Acaba and Ricky Arnold, are planning to honor Christa McAuliffe, who was planned to be the first teacher in space. 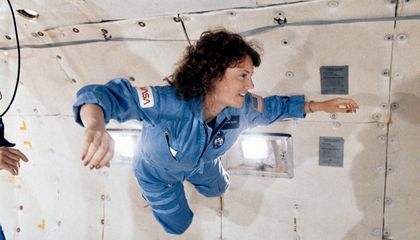 McAuliffe was to board the Challenger in 1986 and had written lessons to accomplish and record during her time in space. Unfortunately, 73 seconds after its launch, the Challenger exploded. Now, Acaba and Arnold will honor McAuliffe by completing her lessons and making them available to the public. The lessons range from effervescence, chromatography, liquids, and Newton’s laws of motion. Acaba and Arnolds actions are a representation of civic engagement because they are taking McAuliffe’s “lost lessons” and demonstrating them to better the public (by way of education) and honoring her life at the same time. Joe Acaba and Ricky Arnold are bringing attention back to Christa McAuliffe's death, as well as the tragedy of the Challenger. 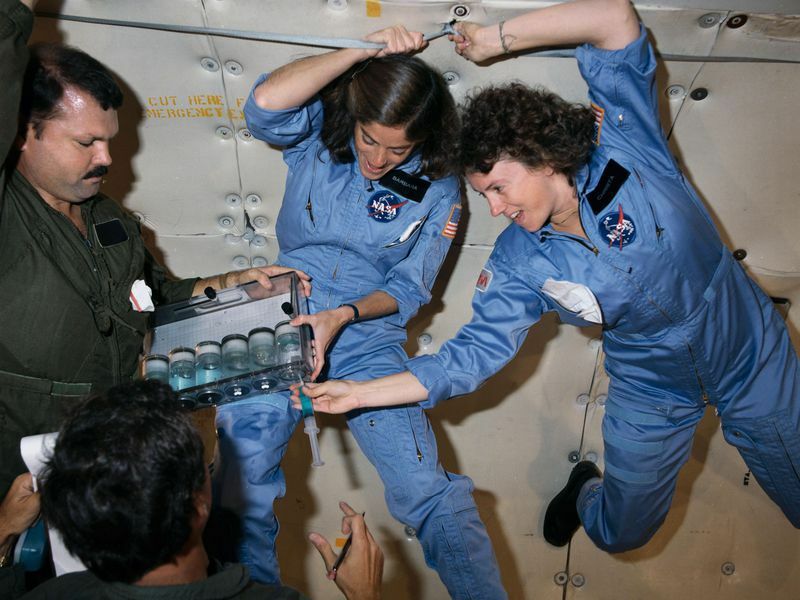 By airing the lessons the McAuliffe prepared, Acaba and Arnold are raising awareness of an event that, as teachers turned astronauts themselves, they are passionate about. The lessons will be aired sometime this spring. They are also generating positive publicity for NASA and the space program, another event in addition to Donald Trump repurposing money from funding for the ISS towards NASA's budget. NASA is developing a giant rocket and a crew capsule.